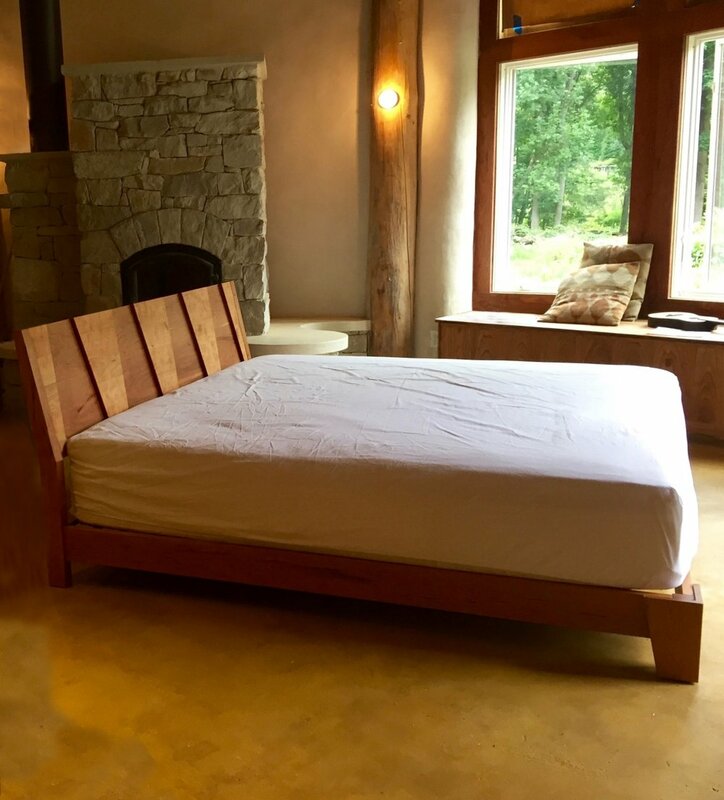 The Hayden bed was designed for a client with a circular straw bale home in Frederick, MD, where the natural beauty of materials is emphasized throughout the home. 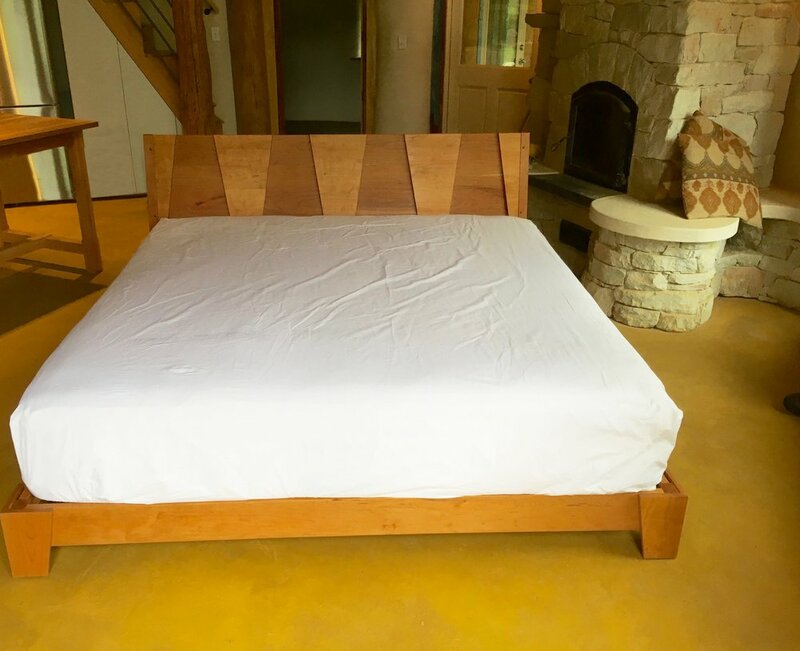 The bed is made from cherry harvested from the client's property. The headboard is made with a large mortise joint. Hayden is shown here as a king size bed and can be modified to any size.